* Blask starts off with a blast of bay leaves and clove spicing up a fruity red wine. * This is the first time I have smelled bay leaves in a scent and liked it. * This softens and sweetens over a long development. * A nonoffensive oud and walnuts come in for a sweet, yet wooden, base that lasts a long time. 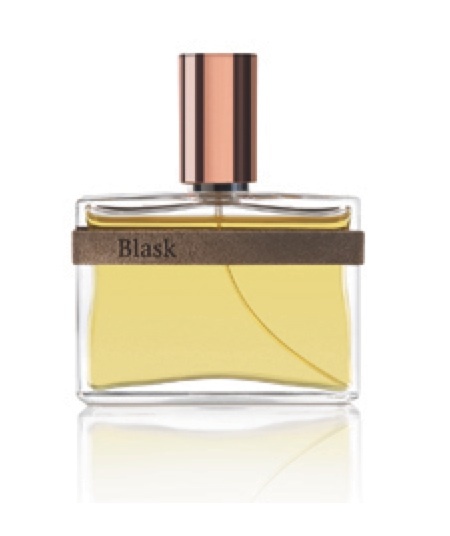 Summary: According to the website, Blask is “inspired by the deepest bond between human beings.” Well, these are the kind of people I want to hang out with – get them drunk, play with leather/rubber, and then snuggle with roasted walnuts. As odd as this scent may sound to it, it is actually the most accessible of the H&G line, which is saying something – because these are scents for scent lovers and not neophytes. Initial projection is quite strong, but after the first hour it calms down a bit, making it kind of safe for the office- but the notes are such that it might cause some strange looks from your officemates. Longevity borders on the insane side – lasting more than 12 hours and through a shower. Once you get past the 6 hour mark, the deep heart and base will be a great thing to add a floral scent on top of – to wake up. Or you could just savor the sweet, woody base for a while longer. Humiecki & Graef fragrances are available from Babalu Miami. Disclaimer: Sample provided by fragrance company. Image courtesy of Babalu Miami. Great write-up! Definitely one of my favourite fragrances.